As our marketing excellence month continues, we interview Caroline Gadd, Corporate Affairs and Market Access Director. She shares the importance of value demonstration and how to integrate this into your marketing strategy. With cost-containment measures being implemented across healthcare in Europe and across the world, it’s never been so important to demonstrate the value of your product. But what effect does this have on pharmaceutical marketing? Caroline Gadd understands how services can add value to medicines and how this impacts on marketing strategies. She speaks here with pharmaphorum on value demonstration and the importance of partnerships to deliver a value-add model. RA: Caroline, thank you for agreeing to take part in this interview. How did you come to be an experienced leader of a market access and healthcare solutions sales teams? CG: I actually started my career as a nurse at Bristol Children’s Hospital in the bone marrow transplant unit. It was the leadership and innovation of world renowned specialists, such as Dr Jackie Cornish OBE, which sparked my interest in the value of medicines and led to a change in career to the pharmaceutical industry. I first took a formal market access role at Schering-Plough where Dr Gordon Coutts was the UK Managing Director and Vice President. He had the most inspiring vision for how the pharmaceutical industry could work in partnership with the NHS so I started to understand how services can add value to medicines and, the value of partnerships in our marketing strategies. I was responsible for leading the development and commercialisation of the Evidence into Practice programme, which helped primary care organisations to optimise their management of patients with co-morbidities, such as cardiovascular disease and diabetes. I have now added to my experience by developing value propositions for some highly specialised therapy areas as well as for primary care. RA: What notable changes have you observed throughout your career in the payer and market access environment? The NHS is frequently changing and change can mean disruption. However, the changes taking place right now have come at a time of cost-containment measures being implemented across healthcare in Europe and, even across the world, so I think they will have a dramatic impact on the way the pharmaceutical industry works. The most notable change is an ongoing one, all European markets are increasingly impacted by payer actions, including price cuts on in-market medicines, rising of quality standards and the use of incentive schemes to drive a shift to generic alternatives. It has never been more important to demonstrate the evidence of the value a medicine brings to the whole healthcare system. A second notable, and very pleasing, change is the increasing influence of patients and patient groups on the delivery of healthcare and specifically access to medicines. 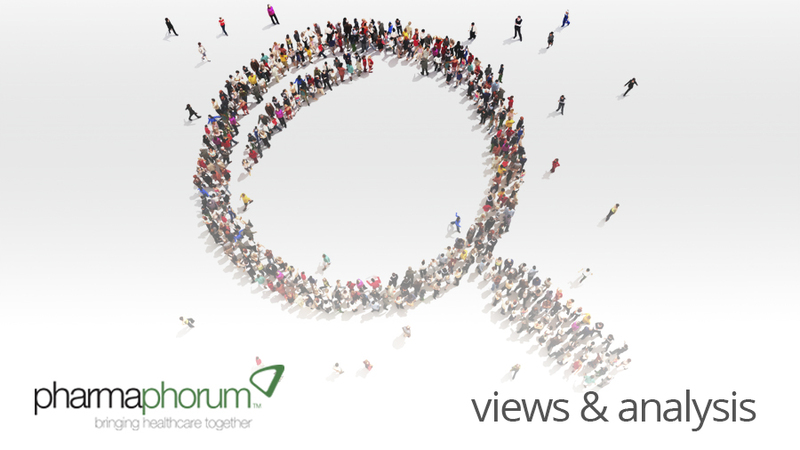 Developing transparent and robust relationships with patient organisations is essential. My third notable change is the use of data – the NHS uses ‘real-world data’ to audit care, measure outcomes, plan services, research solutions and to drive changes in clinical and commissioning behaviour. For the pharmaceutical industry, data from randomised clinical trials is no longer enough – data based on local surrogate markers in addition to hard clinical and financial endpoints will be critical for future success. RA: What impact has this had on marketing and sales? CG: Sales and marketing professionals now have to understand the whole care pathway, not just the part that is relevant to the medicine they promote. Rather than starting with the brand value, we need to start with the value of the whole service a patient will receive. Only then will we start to understand the impact of patients having successful access to the right medicines and, an efficient and effective service around it. And those patient pathways look very different in the devolved nations and across Europe, so understanding and responding to local needs and processes should be central to the planning process. In addition, sales and marketing departments cannot work in isolation, the whole cross-functional team, with patient and customer representation, need to consider how to achieve outcomes and efficiency across a whole healthcare and potential social care system. RA: Why do you think it is important to utilise value demonstration as a marketing tool? CG: I am not sure whether value demonstration can be described as a ‘marketing tool’ but to add value to our medicines, I believe we need to translate the patient pathway to meet local needs. Meaningful local data can help to highlight unmet need and potential efficiencies in the systems but real value demonstration is about the solution that delivers on financial performance, health outcomes, patient experience and social outcomes. RA: What opportunities are there for increasing product value and differentiation with additional value services and how can these additional services be incorporated into a marketing strategy? To create solutions that really add value to the NHS and to companies, it should underpin the brand strategy and be developed with the same robust processes: A thorough analysis of the unmet need using local data, validated through engagement with our customers and with a focus on our patients. Having mapped the patient journey it needs to be modelled for efficacy and financial impact before and after a new service model so that potential productivity for the NHS can be measured. Partnerships are also an integral part of the process – not just with our NHS customers and patient groups, but with innovative organisations who will work with us to create and deliver the core elements of a new value-add models. Caroline trained as a paediatric nurse at Kings College London and commenced her nursing career at Bristol Children’s Hospital in the bone marrow transplant unit. It was the leadership and innovation of world renowned specialists there which sparked Caroline’s interest in the value of medicines and led to a change in career to the pharmaceutical industry. As Caroline gained experience at Nutricia, Gilead Sciences and Schering-Plough she began to understand how services add value to medicines and, the value of partnerships in our marketing strategies. Caroline led the commercialisation of MSD’s Evidence into Practice programme for diabetes and cardiovascular disease management and, developed market access value propositions to support Humira at Abbott. Caroline is now enjoying her role as a market access leader at GSK and is working with colleagues and partners in UK and across Europe to deliver improved health outcomes in dermatology. How can value demonstration be incorporated into pharma marketing strategies?